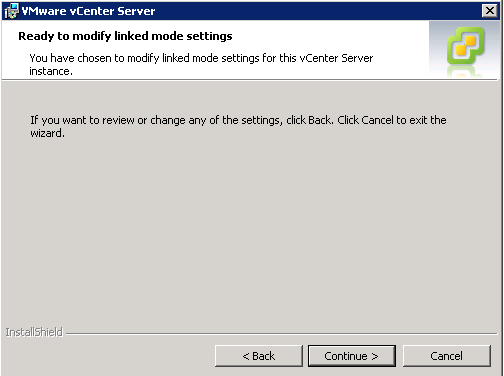 19.1: Give permissions to admin users for access to SSO. 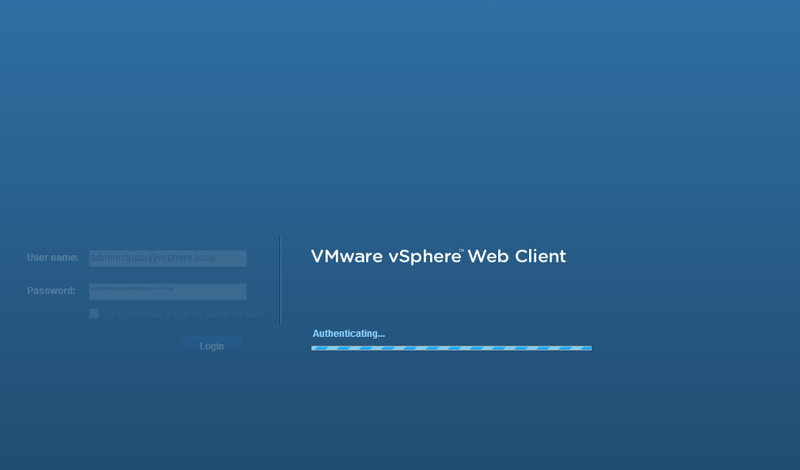 Log into the web client as the administrator account. 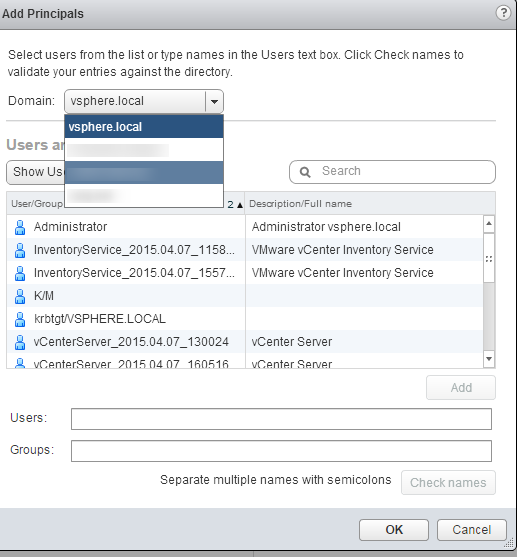 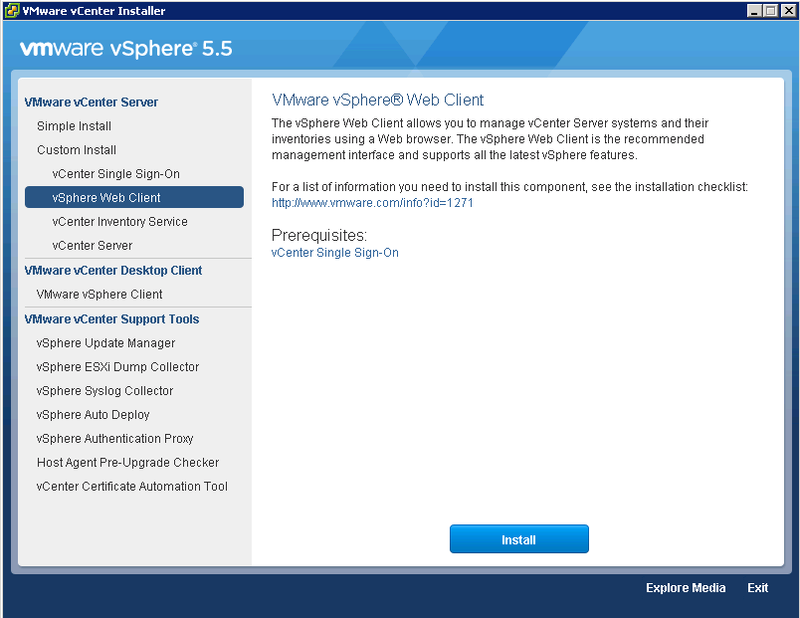 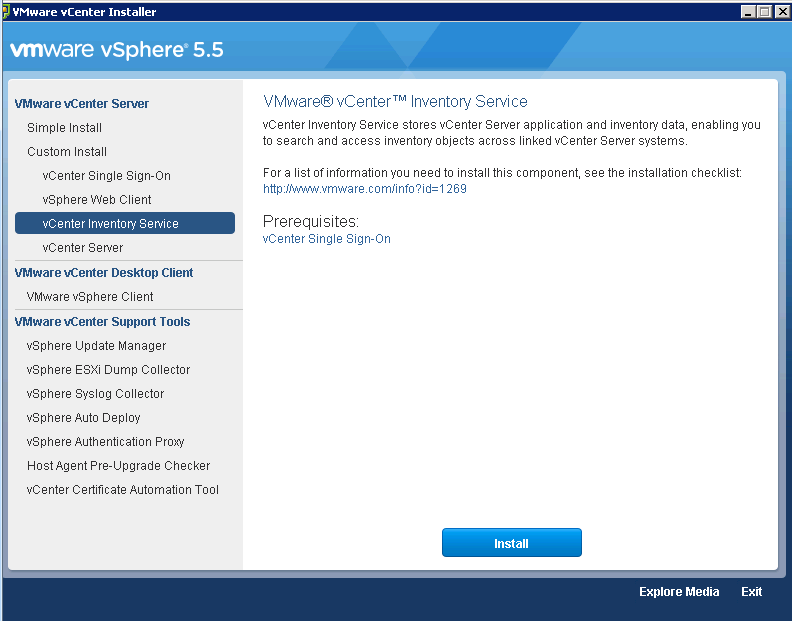 The first thing you need to check is that all the components of your environment are compatible with the version of vSphere you want to upgrade to. 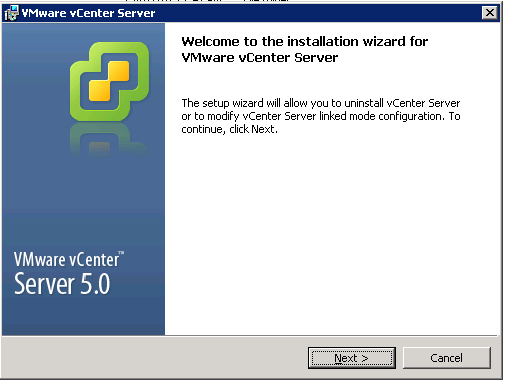 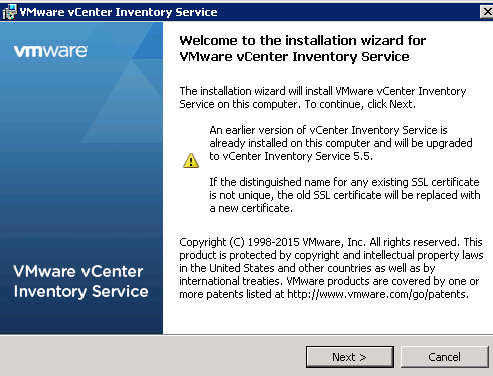 The first step is this process is to gather the version details of all the installations and plug-ins that you have and use the VMware Compatibility Guide – http://www.vmware.com/resources/compatibility/search.php – to verify that all the components listed are compatible or at least find out what versions of your products are compatible and seek out information on the upgrade process for each of those components. 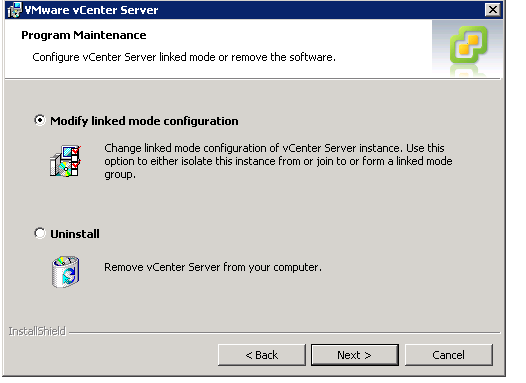 For example in the below matrix we will be upgrading SRM from 5.0.1 to 5.5.1 to be up to the latest version supported on vCenter 5.5 Update 2. 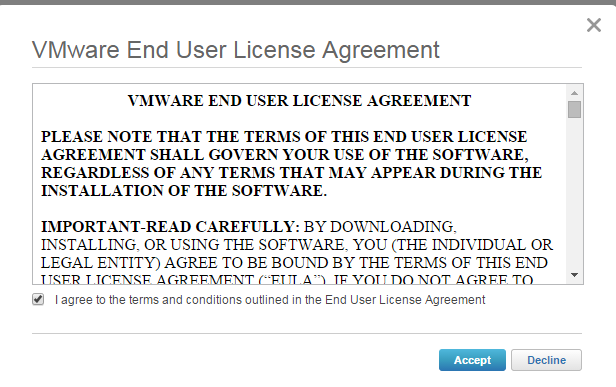 Likewise for the IBM plug-ins and the SRA required for SRM. 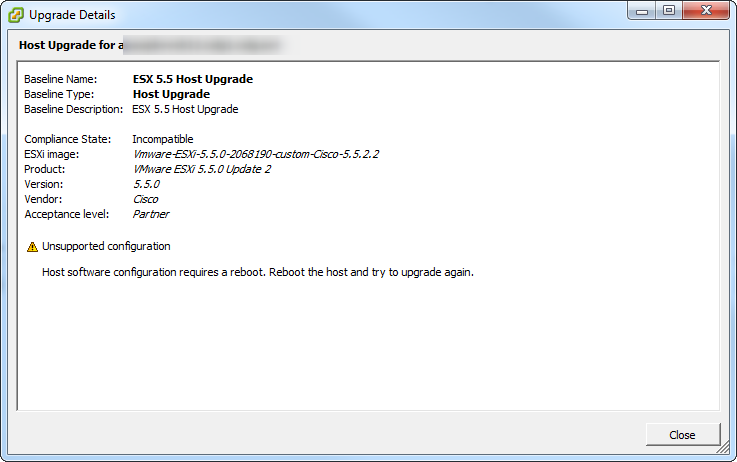 Over the weekend I had to run a failover test for an application within SRM. 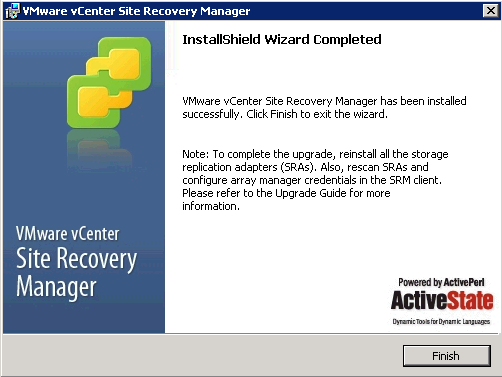 As SRM can only replicate down to the datastore level and not the VM level this meant doing a full test failover of all VMs but ensuring beforehand that all protected VMs in the Protection Group were set to Isolated Network on the recovery site. 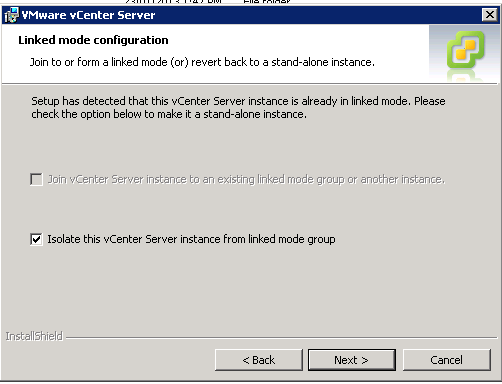 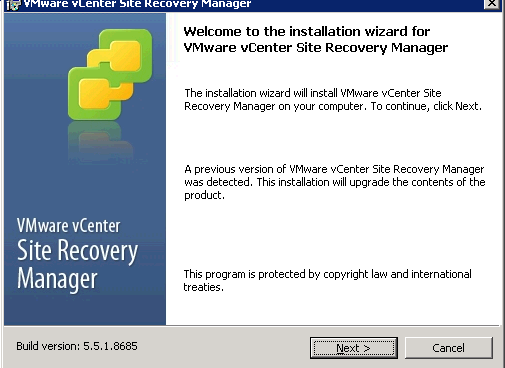 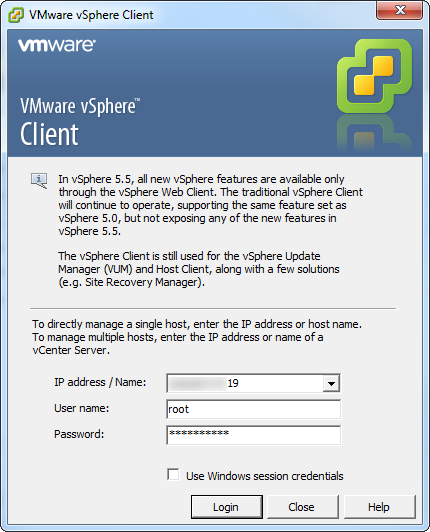 This ensure that even though all VMs would be started in the recovery site they would not be accessible on the network and therefore not cause any conflicts. 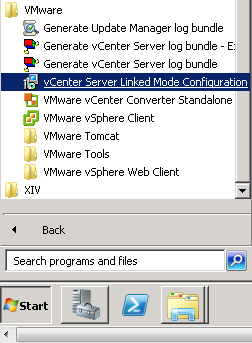 The main concern, outside of a VM not connecting to the isolated network, was that the VM being tested and the application that sits on it are running on Windows 2000. 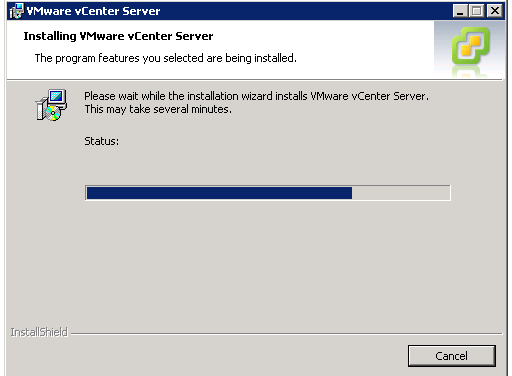 Yes, that’s not a typo the server is running Windows 2000. 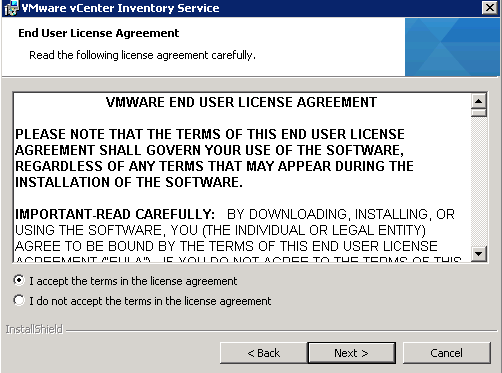 The application is from back around that period as well so if it drops and can’t be recovered then it’s a massive headache. 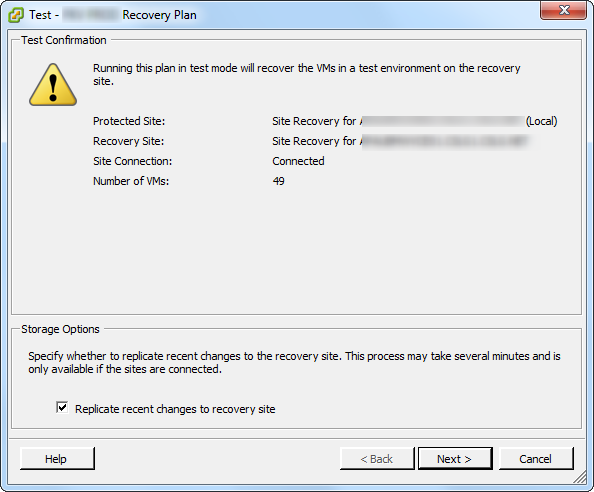 When the prompt comes to begin the test verify the direction of the recovery, from the protected site to the recovery site. 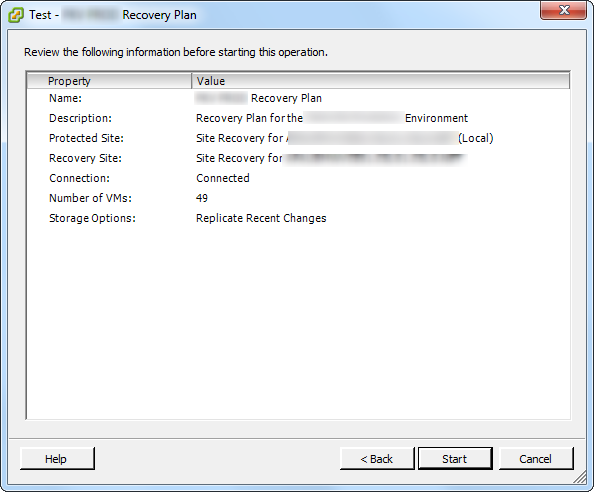 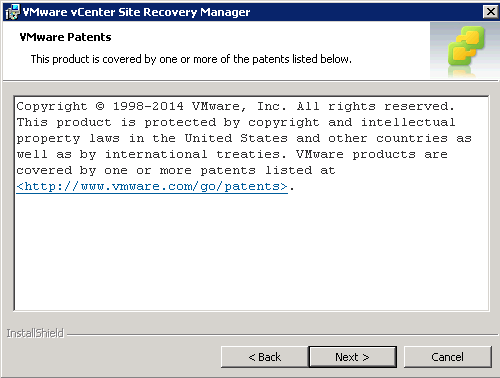 Enable the Replicate recent changes to recovery site. 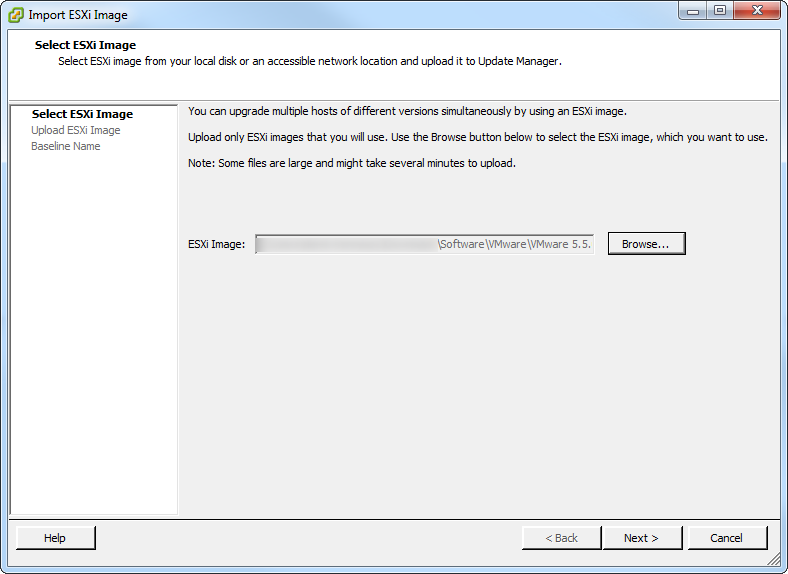 In most cases you will be already running synchronous writes between the sites and the data will just about be up to date anyway. 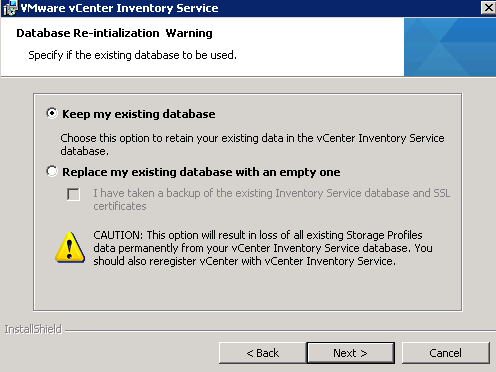 It is recommended however to perform a recent change replication anyway to make sure that all data is up to date.